As many of you know, I work as a physician assistant in an orthopaedic surgery/ practice and have been blessed to touch the lives of hundreds of patients over the last 4 years. This process is a bit tricky. Patients come in to the office, sign in at the front desk, fill out all the necessary paperwork and take a seat waiting to be seen. Sometimes, they wait 15 minutes. Sometimes they wait an hour to finally be able to verbalize their complaints in hopes that I will have an answer as well as a solution to help their pain vanish and their limbs work magically again. Often, I have to order MRIs, more tests or even recommend physical therapy or surgery which of course is not an instant cure, but may require time. Just waiting. Hoping everything is going to turn out just fine and those arms and legs will be just as good as they were before their injury. And, as many of you know, Tommy works as a real estate/broker and has done an exceptional job with hundreds of clients over the last 8 years. The process is also a little tricky. Buyers will search sometimes for weeks, others months until they find their dream home. Offers are tossed back and forth until a reasonable price is accepted. An appraisal and inspection of the home are carried out and if everything is in line, the buyers and sellers await the loan approval. For the most part, this whole process is supposed to take 30-45 days and at the very most 60 days. But then there are those wonderful transactions known as “short sales.” Awaiting approval for a short sale can often be 3-6 months and believe me, Tommy has had to deal with banks that are slower than molasses and it may even be 9 months. Just waiting. Hoping everything is approved, loan documents can be signed and those special shiny keys are in the hands of a happy buyer. Tommy and I are the buyers of the longest short sale process imaginable it seems. We are the patients stuck in the doctor’s waiting room being told we have a condition that may take a very long time until we will feel “normal” again. And even though it feels like other people have their keys and are moving into their dream homes or other patients are walking by happy as can be, we have no other choice right now. 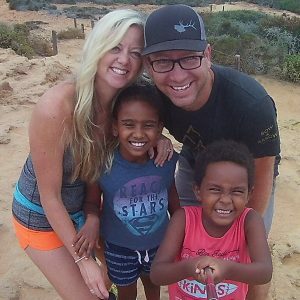 We have officially been on the wait list for our adoption for 8 months and no concrete news up to this day. But God knows this. And we know that God knows this. So, we hold tight. One day soon, we hope to get that special call that will forever change our lives!!! And isn’t it true that all of us wait for things throughout our lives? God is not about instant glorification- but a process that causes us to focus on him rather than ourselves. We are not in control. Whether we are waiting for that hopeful acceptance letter for university or to meet that special person to become our spouse, or a job offer to provide for our families, or news about our child’s test results from the doctor… (the list goes on), God wants to teach us something very important about how big He truly is. We can trust him for the results. So, continue to pray for our children as they wait too for a “forever” home, not knowing when that will be. Pray for us in our jobs, that we will be encouraging to others who are waiting for things as well. Pray for Tommy and I that we will encourage each other when it feels like the road is steep and sometimes our legs are a bit weary. May Romans 12:12 “Be joyful in hope, patient in affliction, faithful in prayer,” be on all of our hearts. Next: REJOICE in the Lord- always? Beautiful, Kendra! Thanks for reminding me that God’s timing is perfect:) We will be praying! I can’t wait to see your face the first time I see you after you get the news! Love you both.